Fourteen year old Callum Silver, also known as Cal, sees the ghosts of murdered people. Being fourteen is hard enough, but seeing dead people and thinking he's crazy definitely doesn't help. He goes through life not only seeing these dead people, but also smelling putrid smells and hearing their deafening moans. Even his parents think he's crazy and have spent a lot of money on therapy for him over the years. He never imagined there were other people like him, with the same abilities. That is until he's invited to attend a special camp in France called Camp Wanagi. This camp is specifically for youth who have paranormal abilities. It's here that Cal not only meets others with his ability, but also learns to develop and understand them. The camp is run by a group known as the Oracle of Senders who help spirits cross to the other side. This is what all of the campers hope to be able to use their abilities for. However, while a lot of the campers seem to embrace their abilities, he and another camper named Meander Rhoades (who experience their abilities similarly) seem to be extremely hesitant and wish they could somehow get rid of their "gifts." Toward the end of the story, Cal and Meander discover stronger and more significant aspects of their abilities. These aspects raise many questions in their minds. Are they prepared for the danger that can come from embracing their abilities, or do they still want to be normal everyday teenagers? I really enjoyed this YA book. It's important to remember, as an adult reading it, that the characters are very young. Young adults will surely enjoy reading it. 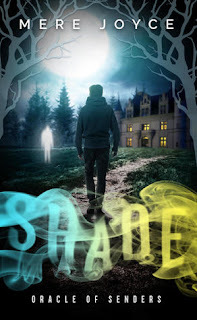 This book struck me as a coming of age novel with paranormal aspects thrown in. None of the abilities of these teens are over the top and no one is superior. The storyline flowed well, and the pages turned easily. I was able to empathize with the teenage characters, and they are well detailed. The setting was nicely described and well done. The book is well executed with very few typos or grammar issues. Overall I enjoyed this new twist on a commonly written about psychic ability. I can't wait to read the next book.